Listing all posts with label oral hygiene. Show all posts. 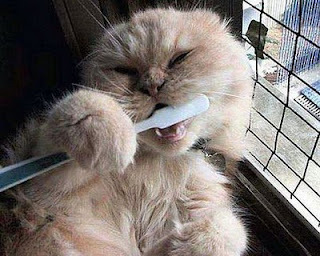 Do you brush your cats' teeth? Mine have never taken particularly well to it.